Our water jet cutting machines provide many benefits over the traditional granite cutting saw. One of these benefits is that most of the cutting is done below water thereby eliminated any airborne by-products such as dust. Also, there is no chance of heat damage to the granite or to the saw when using a water jet machine. 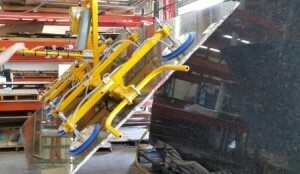 While a water jet cutter cannot be operated by hand because of how large and heavy the machine is, it is run by a complex computer program instead. This program allows the machine to cut extremely intricate shapes into granite with perfect precision over and over again. The machine is so precise, in fact, that when cutting something like a granite tile out of a slab of stone, the edge that is cut is the finished edge. This means there is no additionally sanding or filing required. Contact us at Southwest Waterjet and Laser for all of your granite cutting needs. Download a information sheet about our Granite cutting services here.